When it comes to party invitations, FineStationery.com offers the widest curated collection of birthday party invitations. From 1st birthdays, to Quinceaneras and Sweet Sixteens, to all age milestones, there is a perfect design for your event. Customize your favorite designs and ask your guests to PLEASE come to your next party. When all the games, music, and cake is finished, it's time to THANK YOU guests for attending. 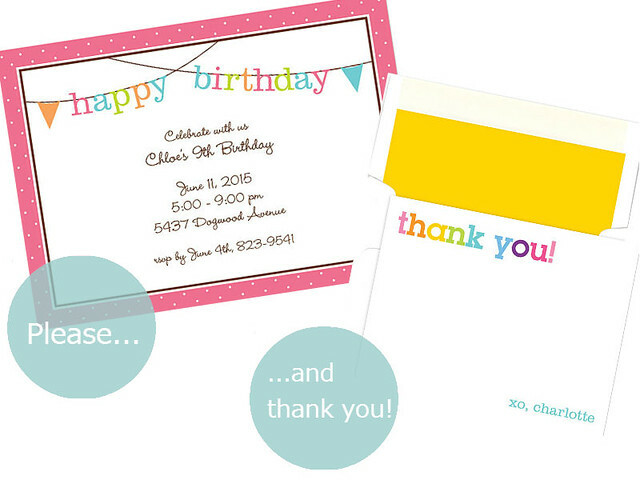 Be sure to order thank you note cards when ordering your party invitations, so you are prepared to send your biggest and more sincere thank you's with a handwritten note! Your guests will appreciate your thoughtful gesture. 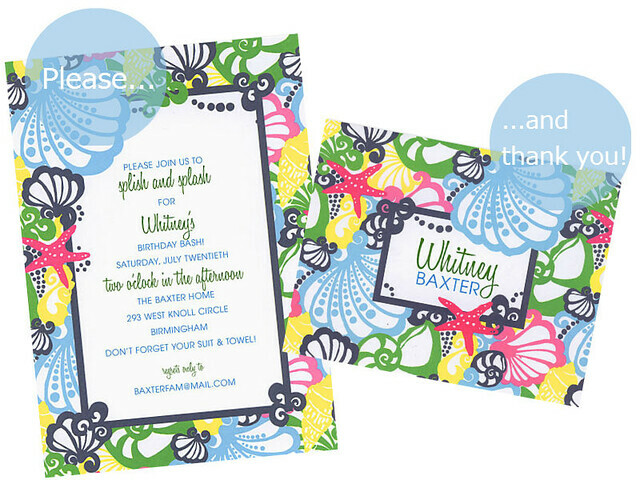 Perfect for this summer's backyard barbecue party or pool party, this Lilly Pulitzer sea themed party invitation and thank you note card combo is great for welcoming guests and thanking them for attending. With most birthdays coming up statiscally in the Fall months, it's most likely time that your looking for great kids party invitations. We love this simple yet fun design from Boatman Geller. Order extra thank you note cards for your kids and they an send thoughtful thank you cards year round! If there is a baby on the way, chances are there are plenty of gifts being delivered to the mom-to-be! 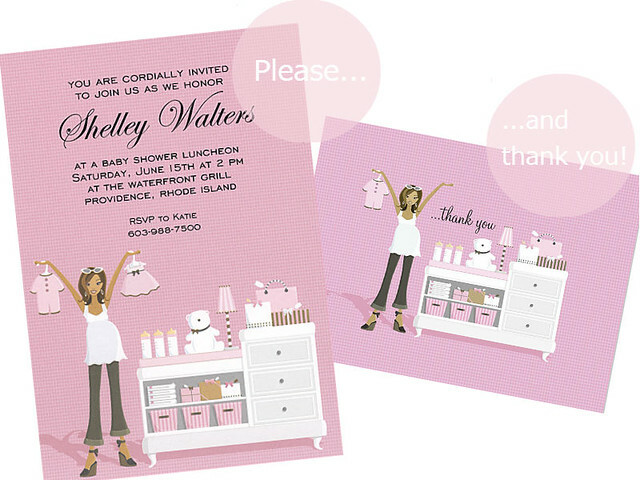 When hosting a bridal or baby shower, the best practice is to send out invitations with time to buy the perfect presents for the mom to be or bride to be. Be sure to buy extra thank you note cards for those who may not be attending the party, but might send you a gift in lieu of attending. There are hundreds of great pairings of party invitations and thank you note cards on FineStationery.com, click here to browse today.